A new Disney handbag is always a good idea. 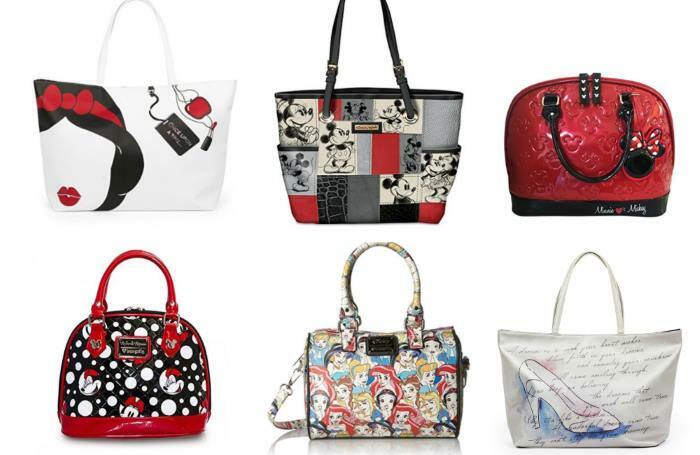 Shoes and purses are my weakness, and in a perfect world I’d have a Disney purse to match every Disney outfit I have. But until I win the lottery, I’ll just slowly add to my collection every time I see a good deal. And my favorite place to shop for Disney items lately? Amazon! Did you realize Amazon has a TON of legit Disney licensed merch? Just take a look at this collection of cute handbags. And the prices on these range from around $15 to $100+, so there’s something for every budget. Also, are you signed up for Amazon Prime? It’s an extra annual expense but I seriously get my money’s worth, and then some. I order stuff from Amazon 2-3 times a week! And when I was sick at the beginning of the year, I used the Prime Now app to have medicine and chicken soup delivered to my door that same afternoon!! Seriously, Amazon Prime is a lifesaver! Most of these handbags are available with Prime shipping which means you get the item in two days – perfect for when you need something quick for your next trip to Disney. If you’re not already a member, you can sign up for Amazon Prime here. 13. Disney Mickey Mouse Travel Outdoor Handbag Tote Bag Shopping Bag.